I actually did a craft project! Woo Hoo! A friend of mine had a birthday and I made a little something something for her- a wooden message board. Of course I forgot to take step by step instructions but it's pretty easy. I used a board that was previously painted black and divided into 3 parts. I cut a B (and an S on the bottom of the board- which are the first letters of the names of my friends kids) out of vinyl with my Cricut. Then using a paper punch, I cut out a bunch of circles. 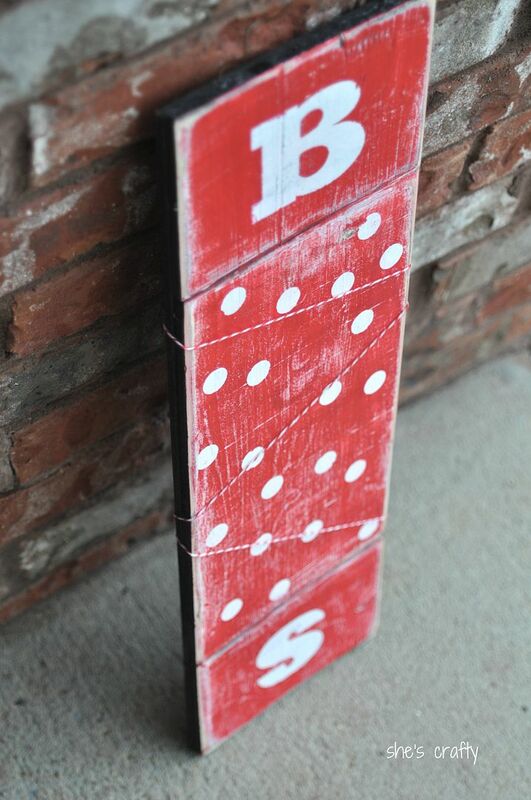 After putting them all on the board, I put a few coats of red paint over the top. When that was all dry, I pulled all the vinyl off and sanded it down. A lot! I stapled some bakers twine to the back in 3 places and then used some clothespins to attach some scrapbook papers but they could be used to hold photos too. 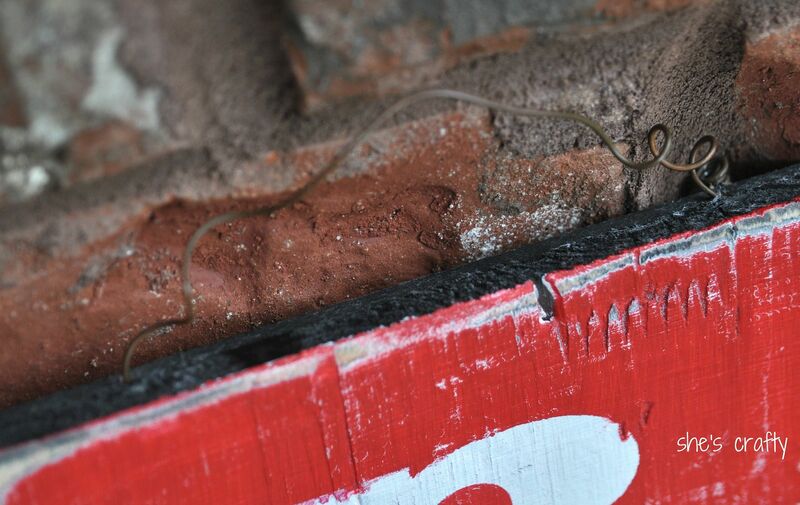 A little brown wire was already on the board, but it would be super easy to drill a hole and put some wire on there. Or use a claw tooth hanger on the back. 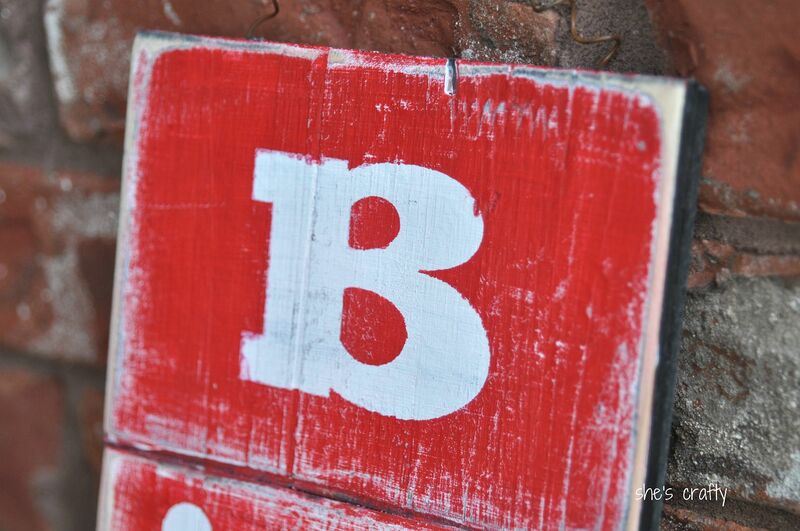 And here it is- a personalized wooden message board! Very cool! Great idea!Love the colors. That's really cute! 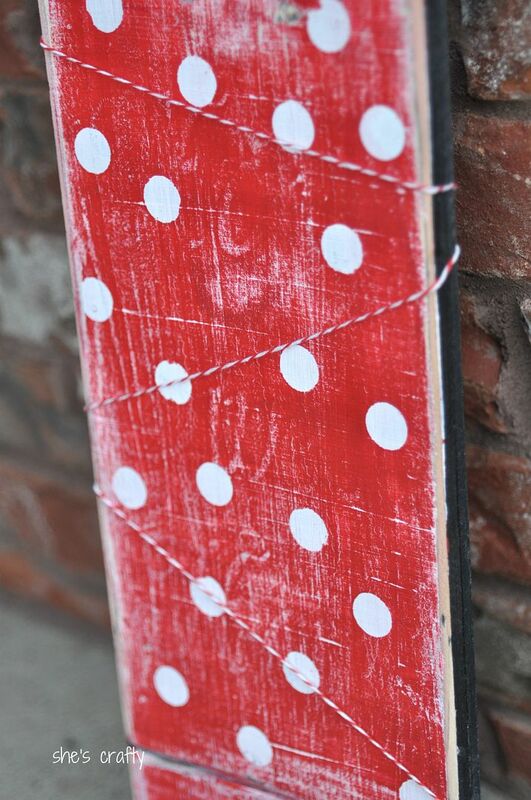 I'm loving red and white lately and I really love the heavily distressed look you gave it. I saw you on Show & Tell Saturday. This is such a cute idea ! 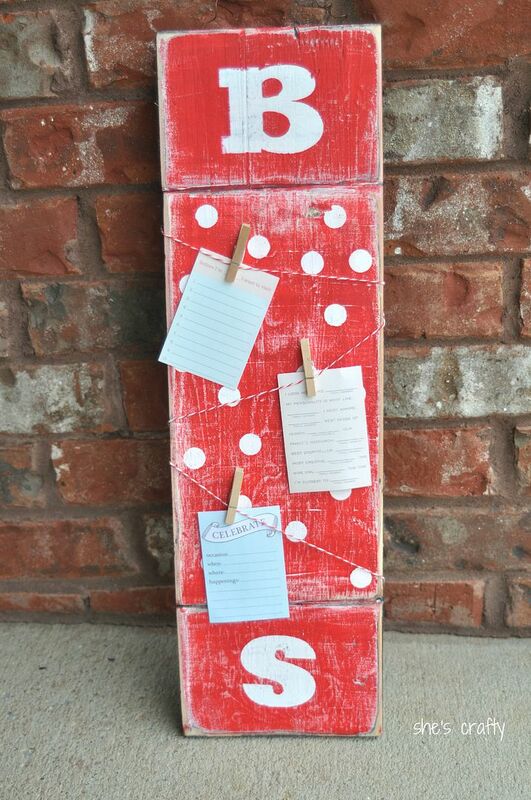 I could see making it with an "M" for our family's last name, and using it to stick little memos on it... :) Super cute, the red w/ white polka dots really make this fun ! SOOOO lovely! 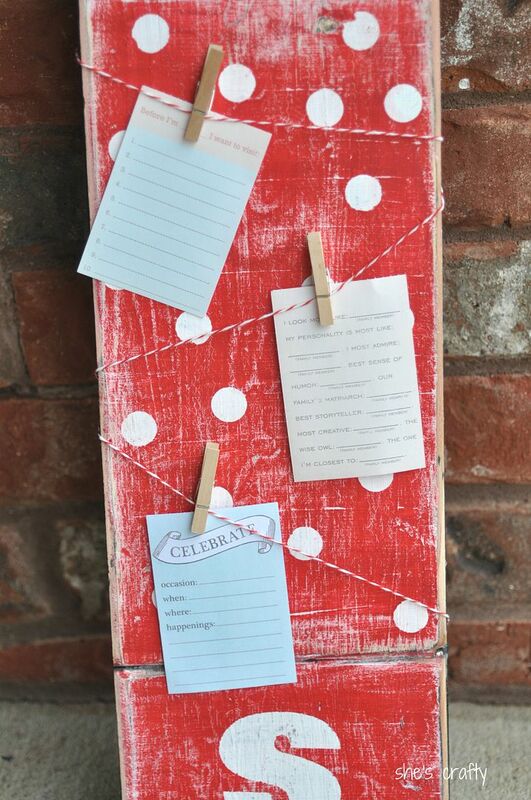 LOVE polka dots...and the distressed look just brings it all together! Would LOVE to have you share this at my link party! Stinkin' Adorable! Make me one too!! Found you over at The 36th Avenue. I LOVE this! 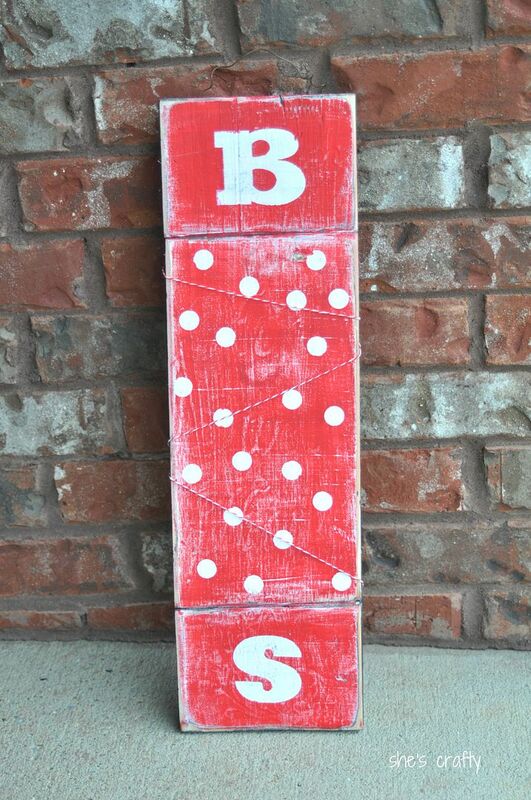 I'm getting ready to do a craft room makeover so I pinned this, I think it would be perfect in my new room. What a great idea! Love it! Thanks again for linking up to last weeks party! I have another one up and running today. Looking forward to seeing what you have to share.